HD3 Complication watch designer Fabrice Gonet created this revolutionary bi-axial tourbillon as a concept and it was so popular that they decided to sell it. Even at a price of $400,000 all 11 limited edition watches were sold out quickly. It is made of titanium and platinum and is is water resistant to 50m with an 80 hour power reserve. The coolest feature is the bi-axial tourbillon which rotates in 1 minute increments on the 1st axis and 30 seconds on the 2nd axis. 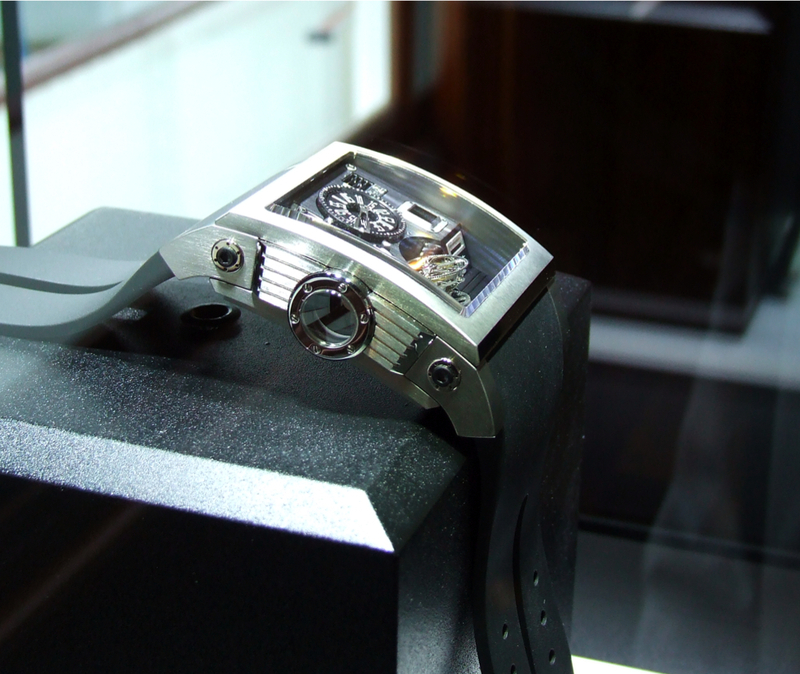 Watch the video to see the tourbillon in action.